This practice test is the perfect review to ensure your students have mastered the content of Envision Topic 7 and are familiar with the test layout. Questions focus on solving multi-step word problems using addition and subtraction within 100. 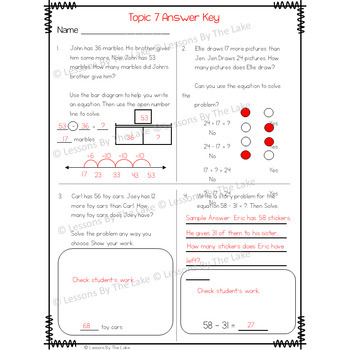 Buy all 2nd Grade Topic Practice Tests in this bundle!